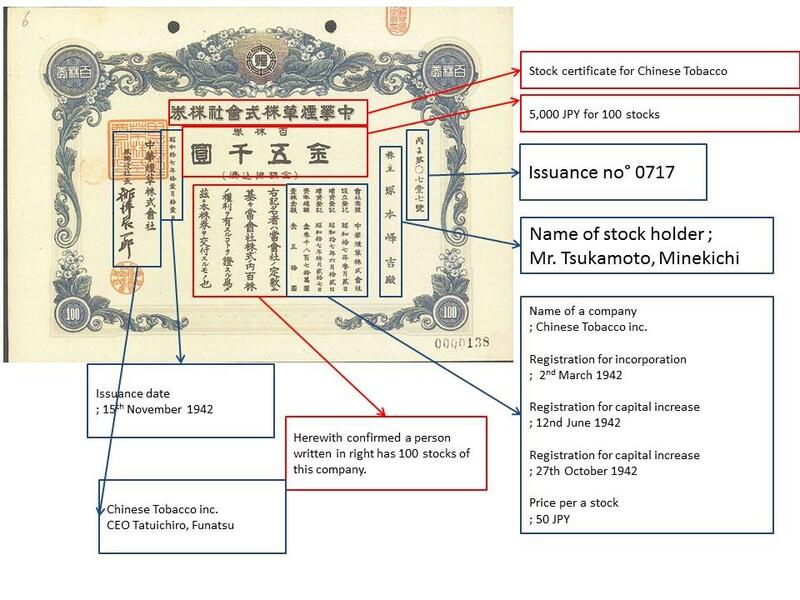 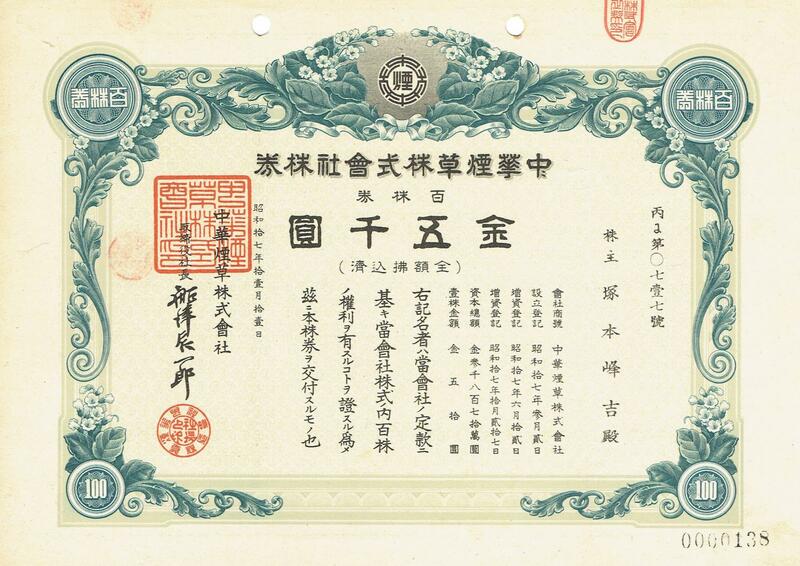 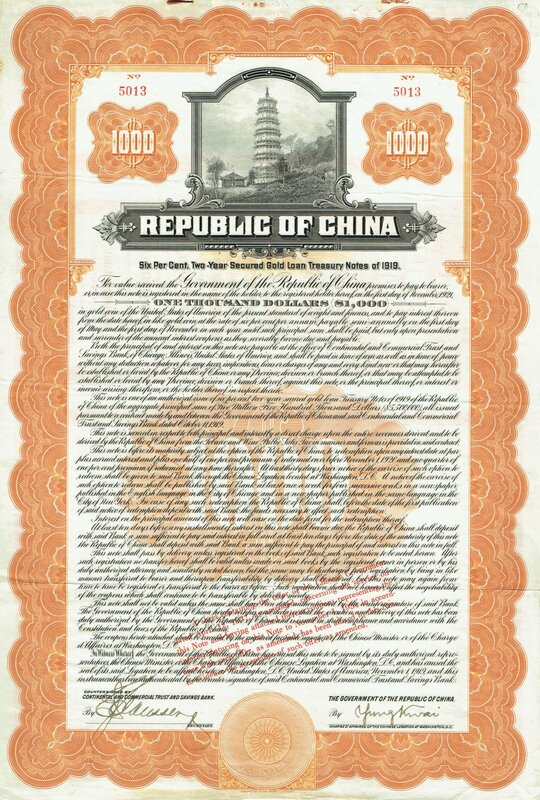 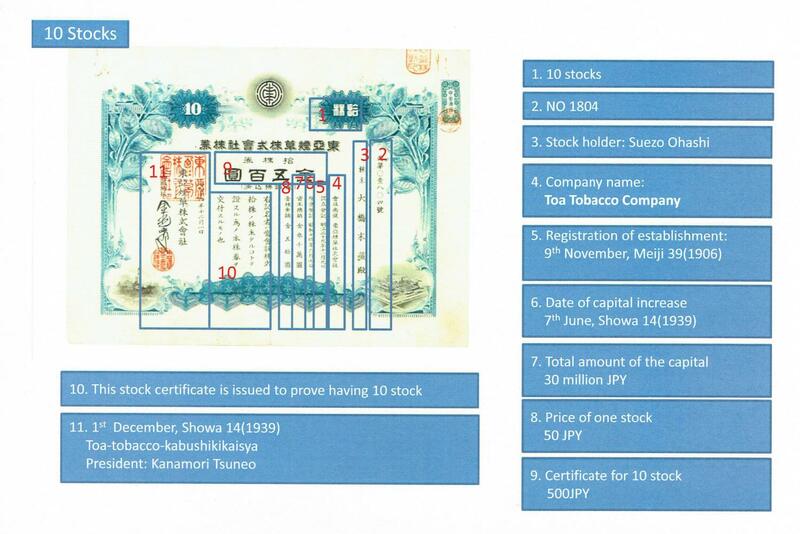 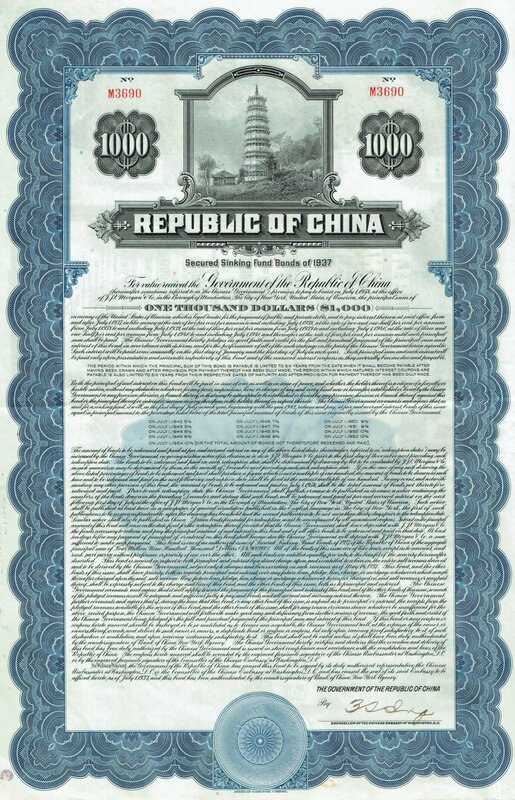 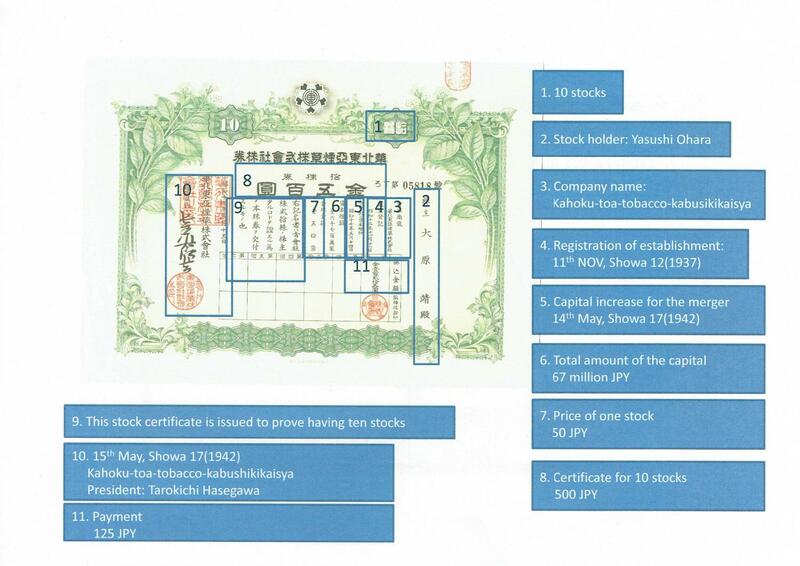 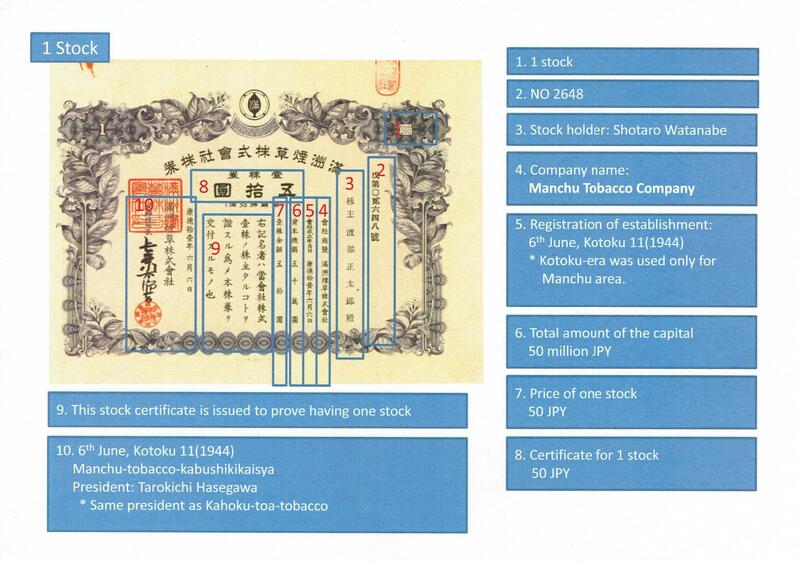 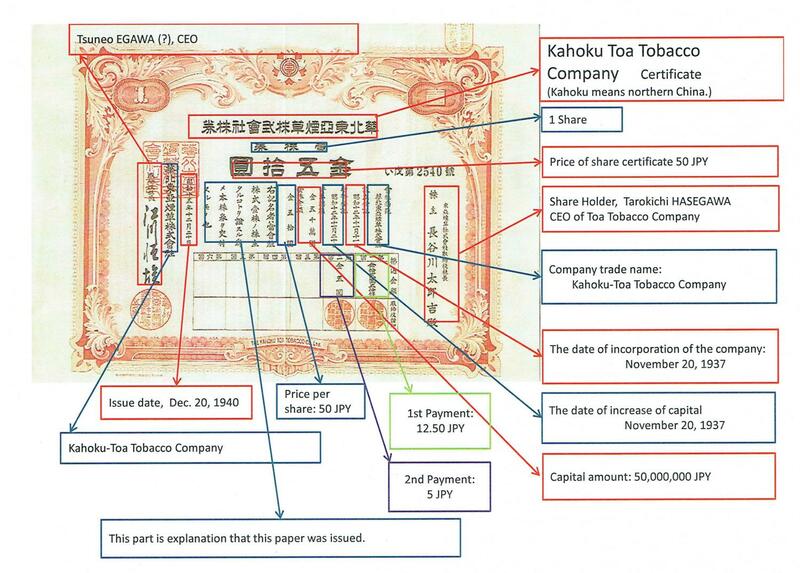 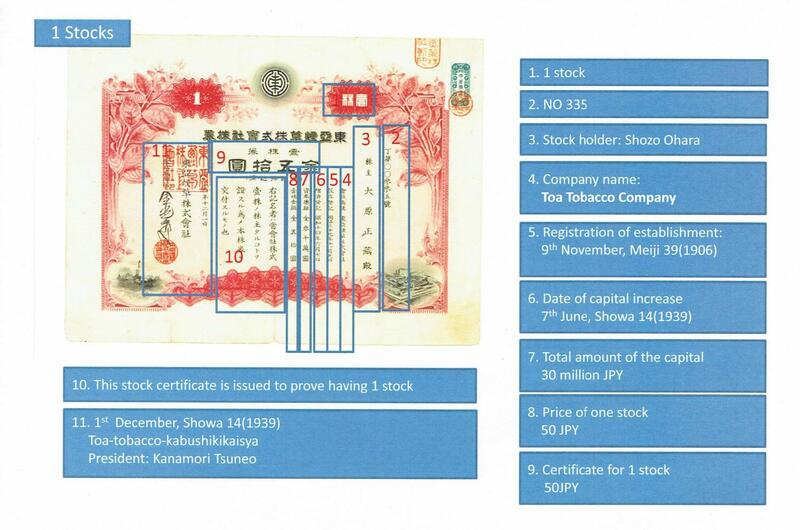 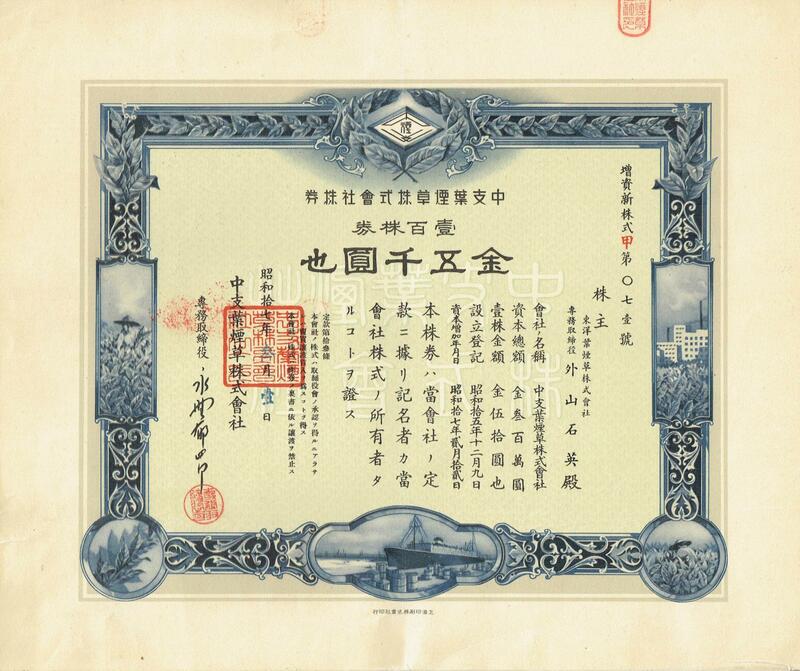 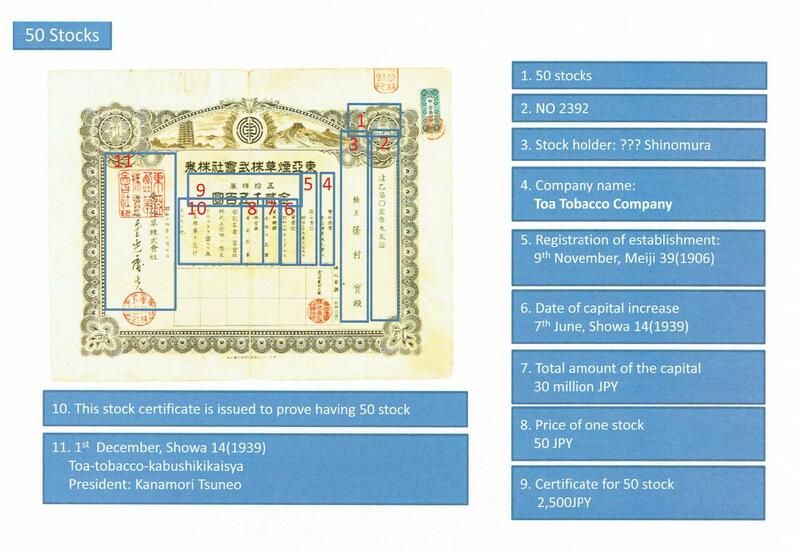 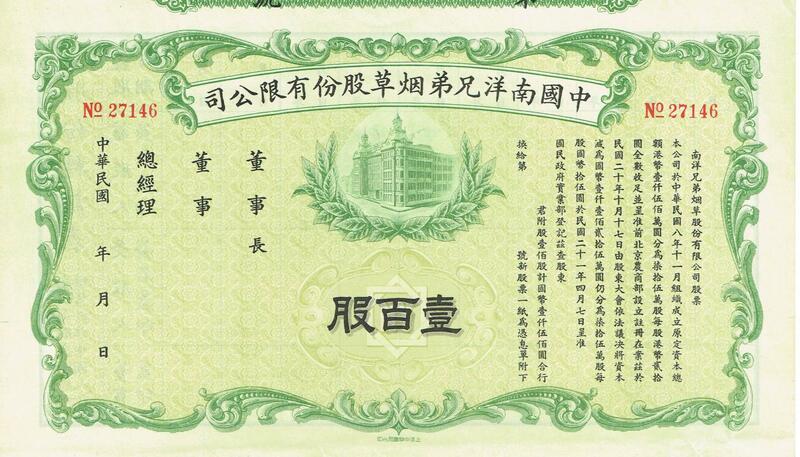 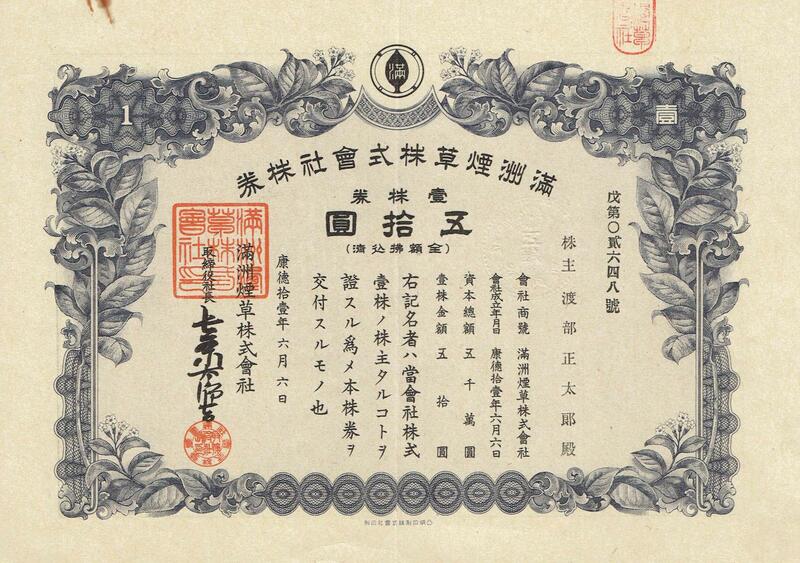 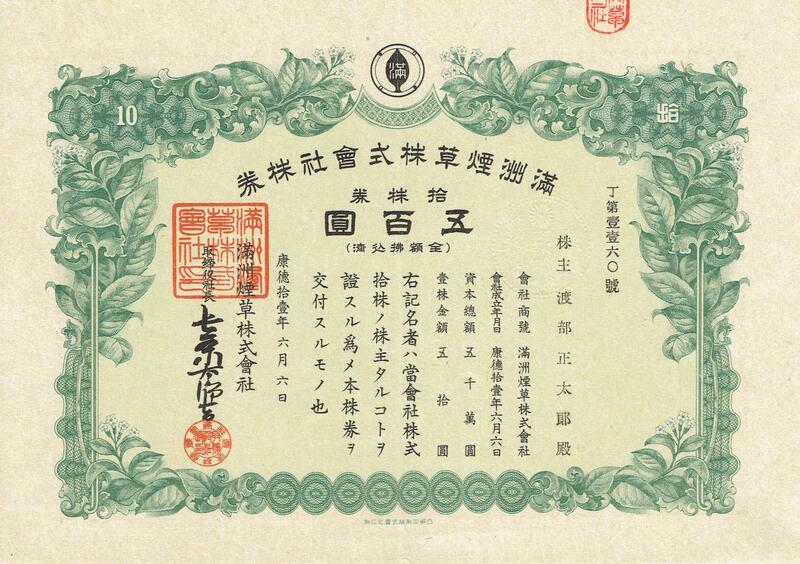 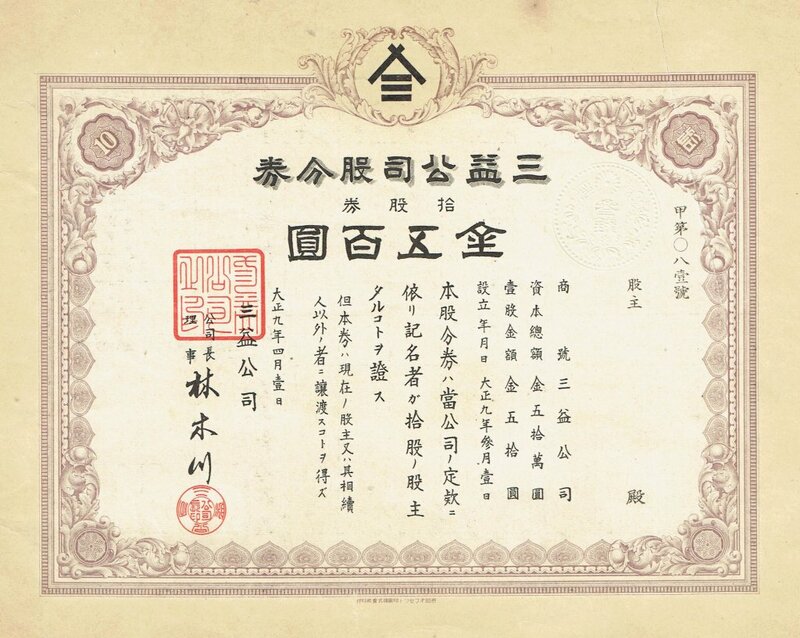 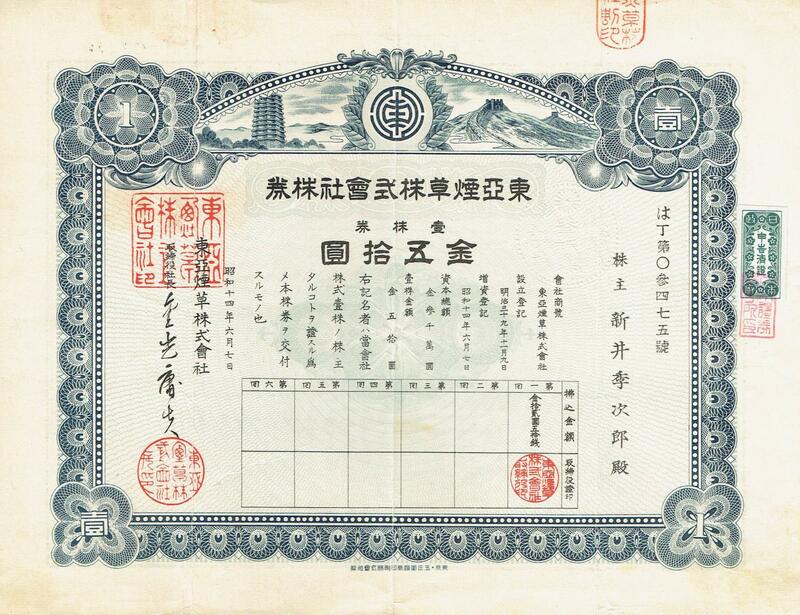 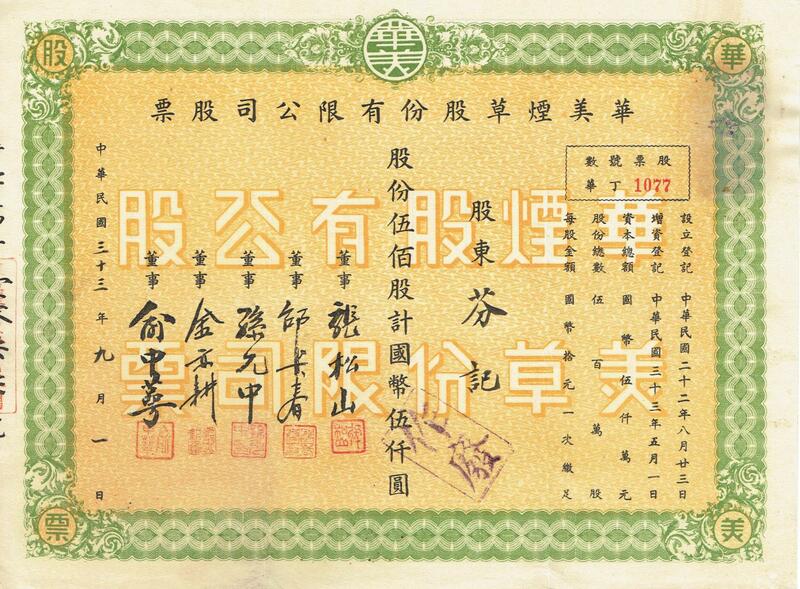 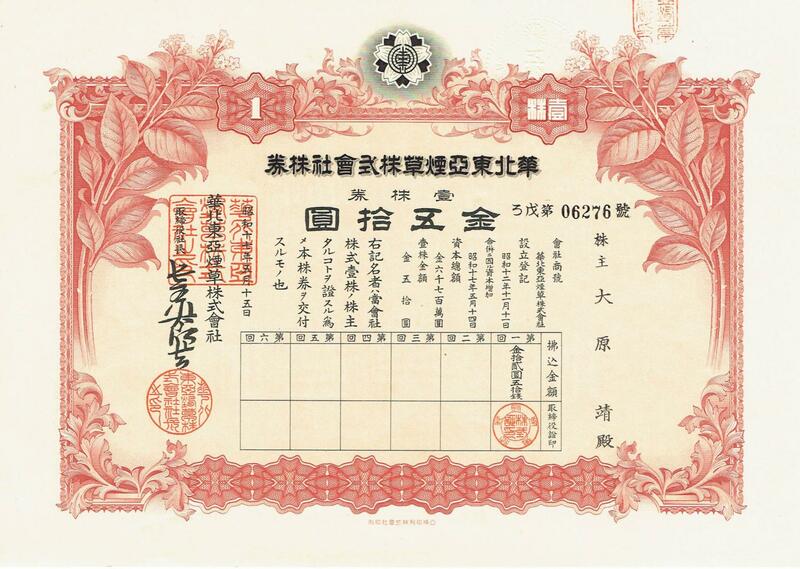 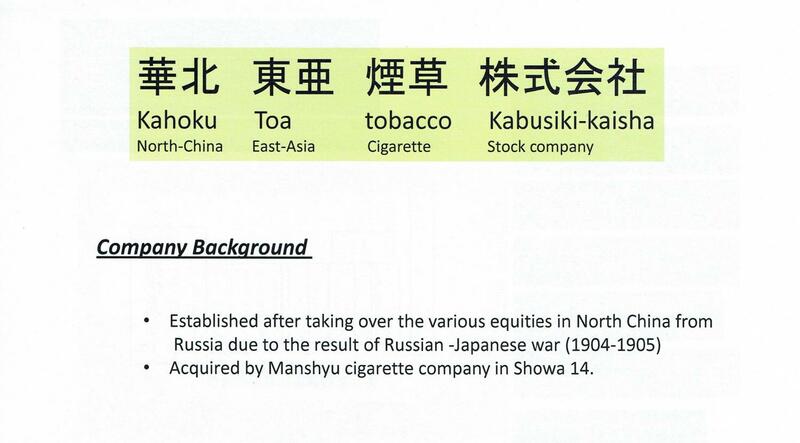 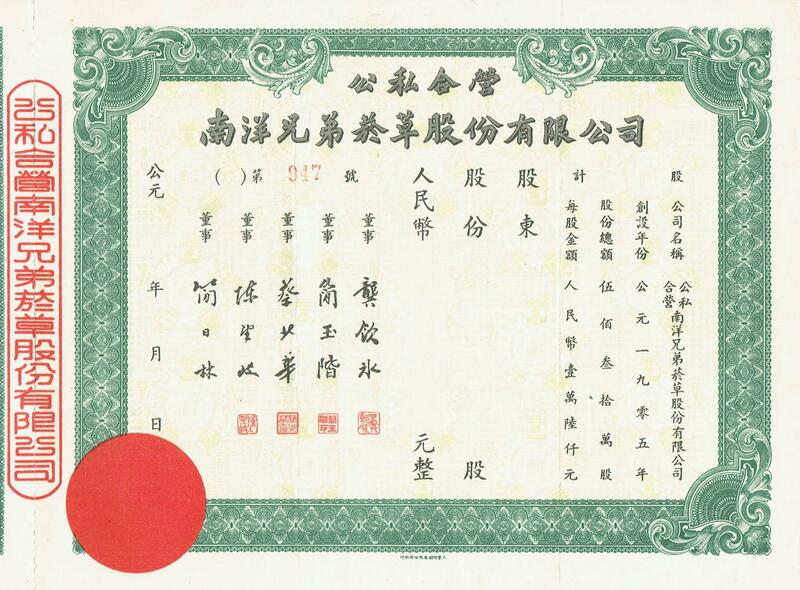 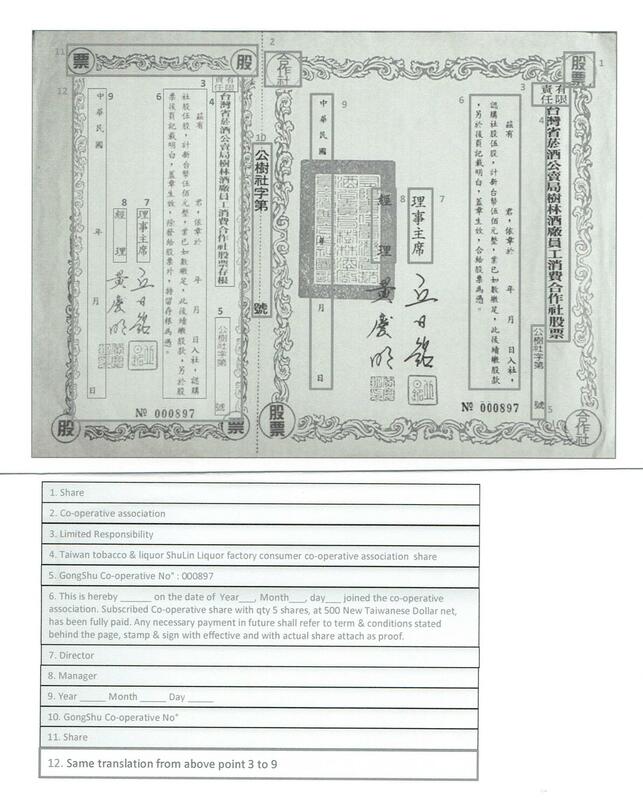 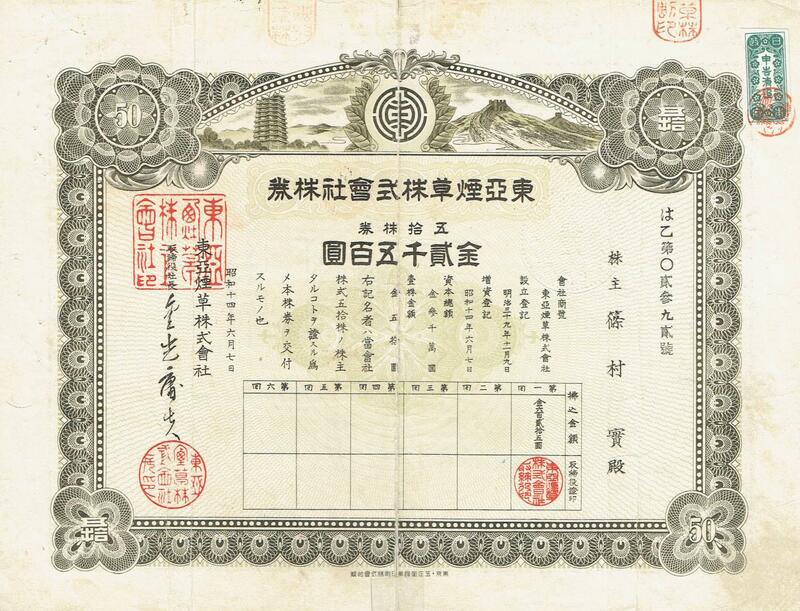 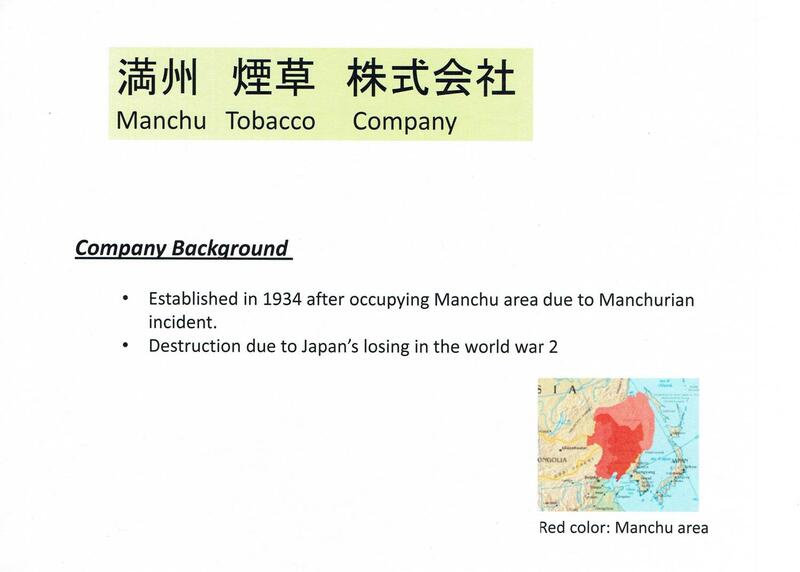 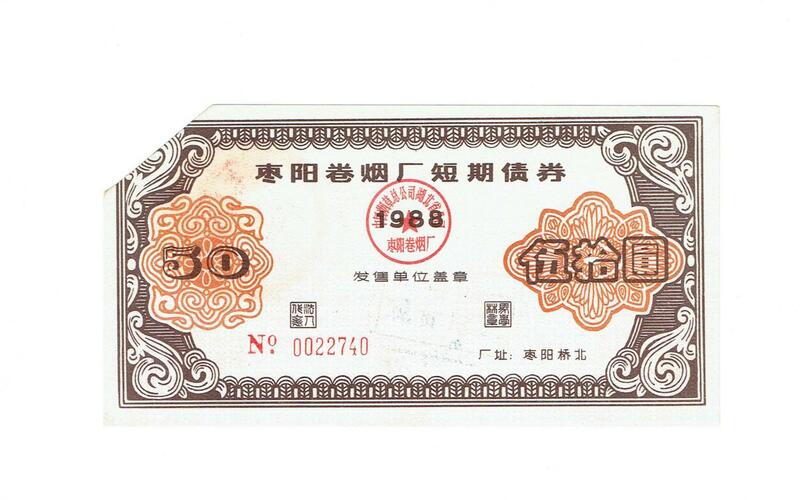 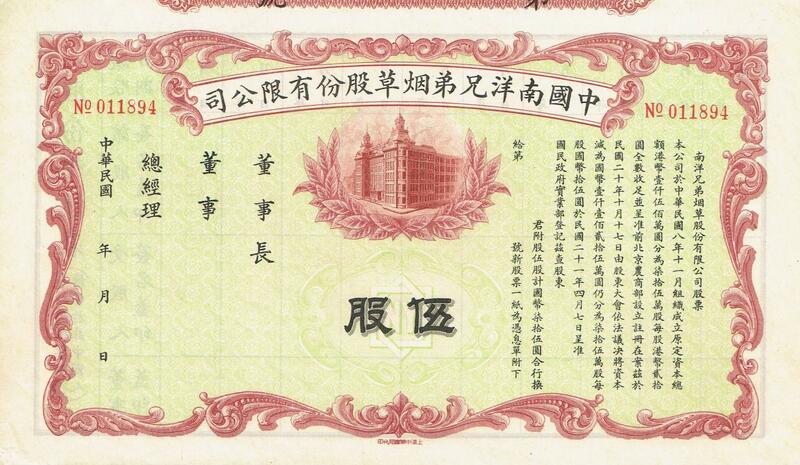 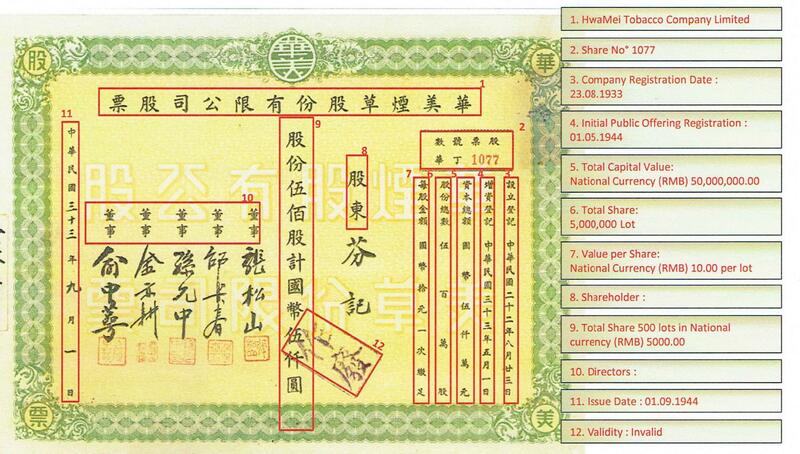 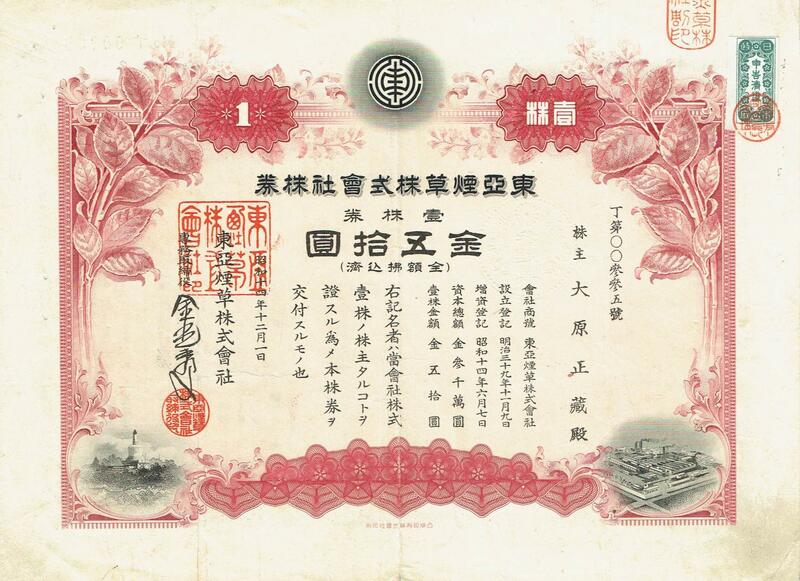 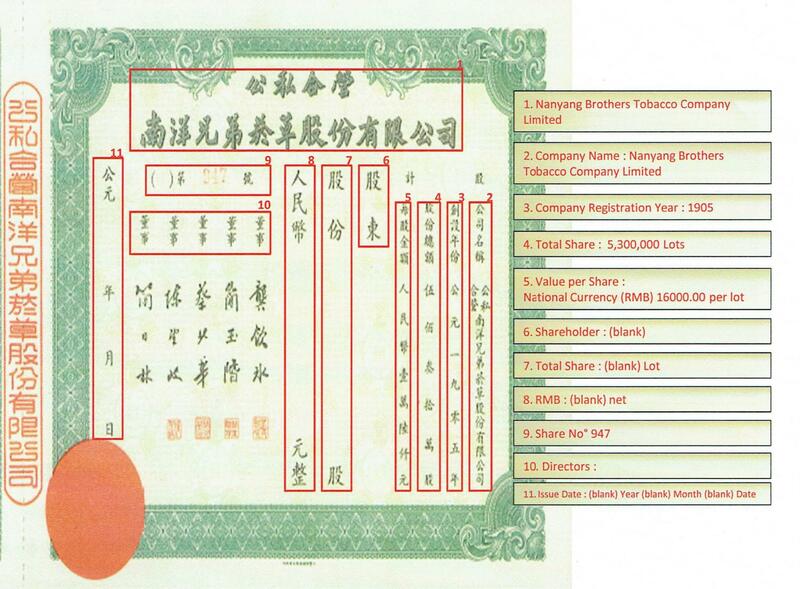 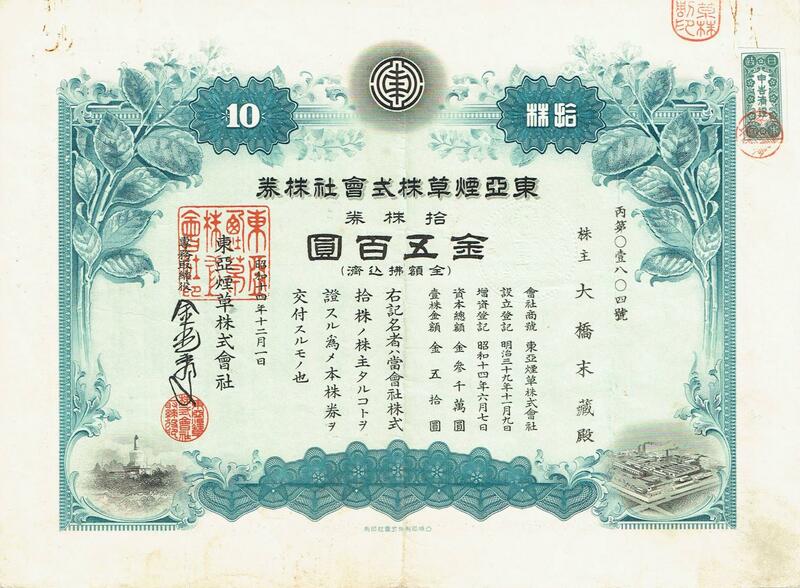 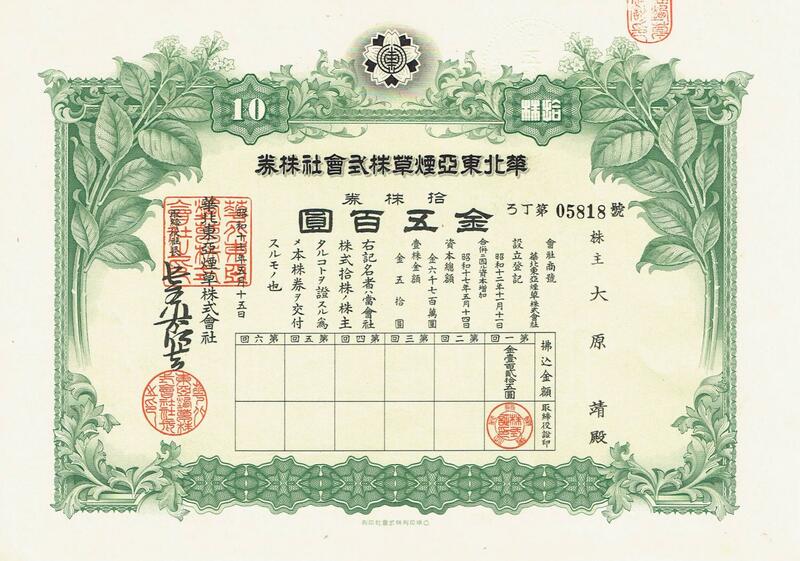 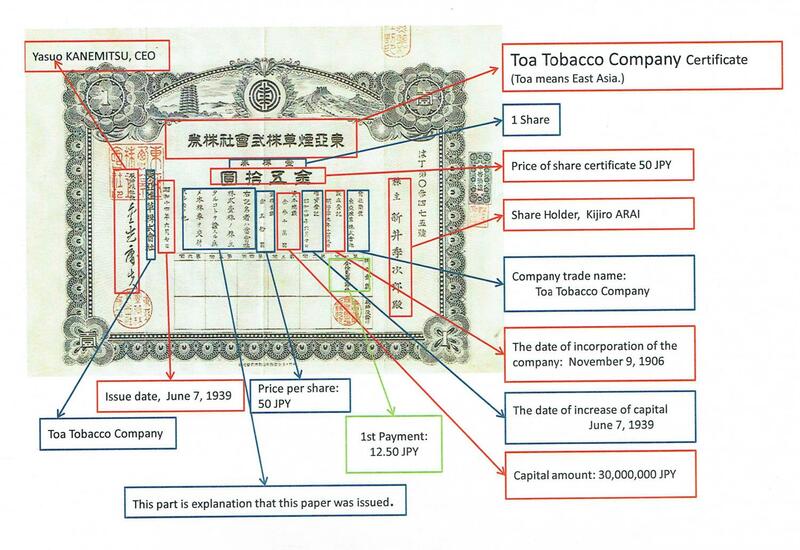 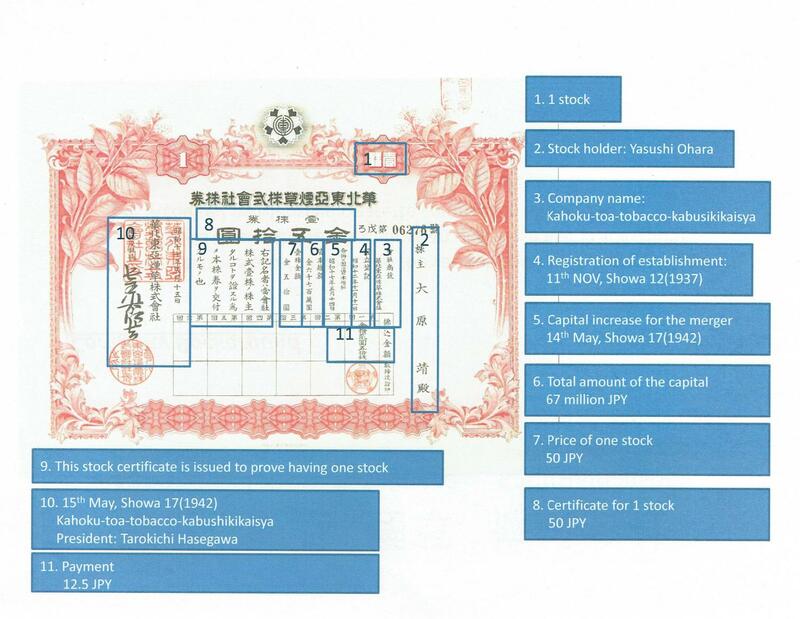 Zhongguo Nanyang Xiongdi Yancao Co. Ltd.
Wha Me Tobacco Corporation Ltd.
Info: Originally only 2 years until 1921, extended in 1937 and then replaced by the so-called "Pacific Development Loan". 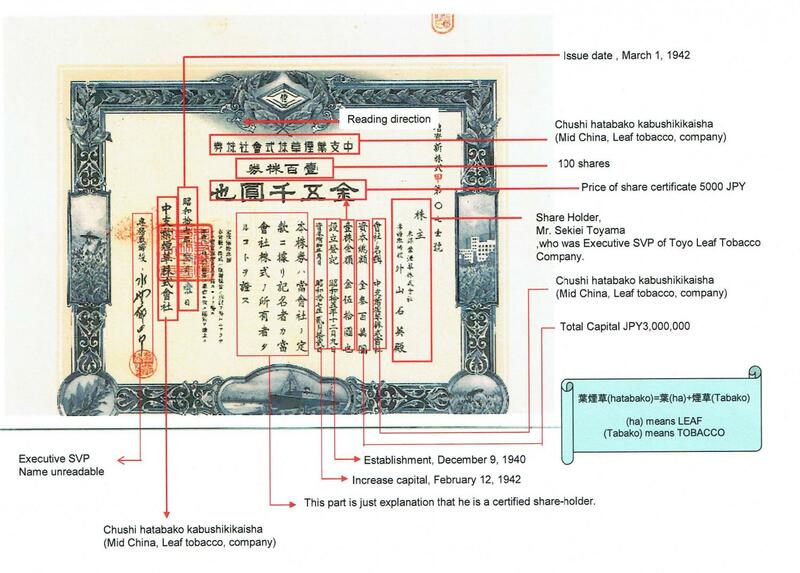 Created by the Continental and Commercial Trust and Savings Bank, hedged by pledging revenue from the TOBACCO and wine tax. 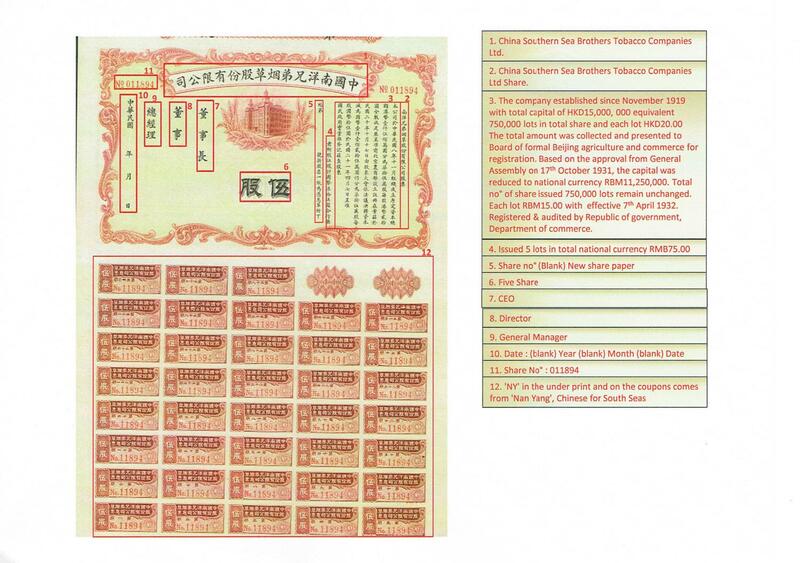 Orange / black ABNC steel engraving, vignette with a large pagoda.